Ripple’s Effect – Goodthink Inc. It takes big actions to make big changes. Or does it? The new dolphin at the aquarium, Ripple, is surprised that no one will play with her. No one plays or has any fun at all, because of Snark and his shiver of sharks. At first, Ripple is intimidated by their bullying, but her trainer reminds her that happiness is a choice, and that we can each make the world a better place because of who we choose to be. Choosing to have fun, Ripple challenges Snark to a staring competition—if she can make Snark smile, Ripple wins and everyone gets to play. If not, Snark’s no-fun rules will rule. Will Ripple’s smile be enough to save the day? Awash with charming illustrations, this delightful tale will show children that happiness is a choice they get to make for themselves. 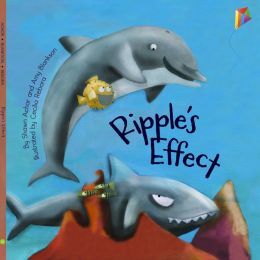 Ripple’s Effect is published by Little Pickle Press, which means it is printed on recycled paper with soy ink and is available digitally as well. There are lesson plans available for teachers and homeschooling parents to accompany the book. 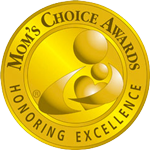 Ripple’s Effect is being embraced by all who read it, including the Mom’s Choice Awards. 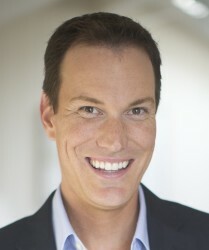 After spending twelve years at Harvard University, Shawn Achor has become one of the world’s leading experts on the connection between happiness and success. His research on happiness made the cover of Harvard Business Review, his TED talk is one of the most popular of all time with over 13 million views, and his lecture airing on PBS has been seen by millions. Shawn is the author of New York Times best-selling books The Happiness Advantage (2010) and Before Happiness (2013). He recently did a two-hour interview with Oprah at her house discussing happiness research and perception of success. 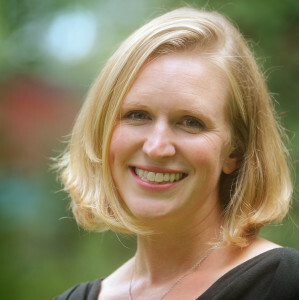 Amy Blankson is the only person to be named a Point of Light by two Presidents (President Bush and President Clinton). She received a Presidential appointment to serve a five-year term on the Board of Directors of the Corporation for National Service, and was one of the youngest delegates to the Presidents’ Summit for America’s Future. She is currently doing research in partnership with Google to determine how to make positive psychology strategies stick and create sustainable positive change. She serves as a Visioneer for the Xprize Foundation for Personal Health, and is a featured expert on Oprah’s Happiness course.